IHS Markit is snapping up Ipreo from Blackstone and Goldman for $1.86 bln to bulk up the information it can sell on alternative assets from private equity to real estate. It’s a booming area crying out for more transparency – and spurring plenty of competition on data. 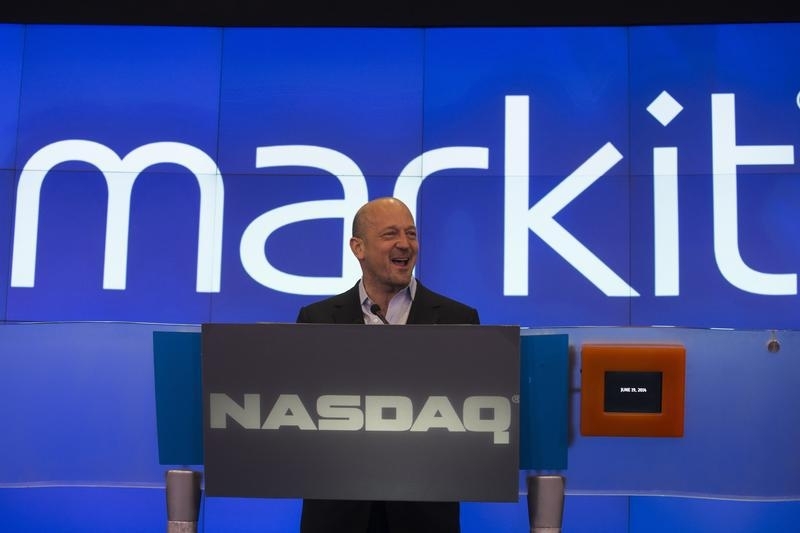 Markit Chief Executive Lance Uggla speaks before the company's market debut at the Nasdaq stock market in New York June 19, 2014. Data firm IHS Markit on May 21 agreed to acquire Ipreo for $1.86 billion from Blackstone and Goldman Sachs. Ipreo provides financial-services solutions and data. It is based in New York and employs 1,700 people. Additionally, IHS Markit has initiated a process to sell MarkitSERV, a derivative-processing business. Shares of IHS Markit, which has a market value of $20 billion, were up nearly 1 percent to $51.90 in mid-morning trade on May 21.